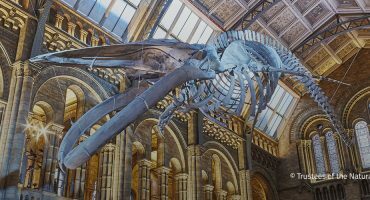 Alex Pareas from 3D Pragmatica shares insights into the 3D documentation of treasure finds in the UK in this Cultural Heritage Spotlight. 3D Pragmatica are based in London and were set up by Alex Pareas and Aonghus O’Kelly to create photorealistic models and Virtual Reality experiences, specialising in projects with Archaeological, Cultural or Historical significance. Bringing together our backgrounds and skills we had built over many years in architectural visualisation, modelling and photography, we provide photogrammetry and modelling services for a wide range of clients, including architects, archaeologists, game designers and engineers as well as specialising in projects for digital heritage and archiving. We believe there are huge engagement benefits for those involved in Cultural Heritage, not only to showcase well executed photogrammetry models to increase public awareness of their collections, but through this raised awareness, increase visitor numbers and potential revenue streams. We hope this will help to secure the future of these crucial institutions for future generations to benefit from and enjoy. It may also be more likely to catch the attention of a younger, harder to reach group, who on occasion, may be more engaged with their devices and 3D game environments than the outside world, by reaching them through an open door they already use, such as a mobile phone or social media platform. 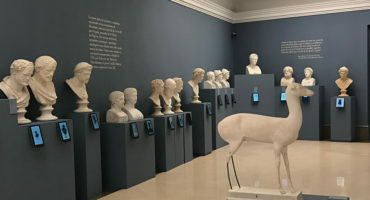 A high resolution, photo realistic and interactive model of a precious and ancient artifact, that is delivered directly to the screen or immersive VR device of the user, opens up a whole new realm of opportunities to inform and educate a global audience, greater than can be offered by the traditional glass case displays or static catalog photographs previously used. Several of our projects focus on artifacts of an historical or cultural significance, such as the models depicted below, measuring about 1cm in diameter of a ‘Merovingian Gold Tremissis Coin’ and an early ‘Anglo-Saxon Witmen Series Gold Tremissis Coin’, both dating to around 620 – 640 AD, as reported by the finder, Chris Kutler of Arch UK. These coins are soon to be sent to the British Museum’s collection, but while he still had access to them, Chris wanted some way to record and archive his findings, more dynamic than a photograph or video. He also wanted to send out something to the media, that would attract new users to his Archaeological database and website. On seeing the models of buildings we had displayed on Sketchfab, Chris approached us to see if we could create the same effect with something as small as a 1cm gold coin. Our photogrammetry processes, allowed us capture a detailed model of this incredible piece of history, highlighting far more details than Chris had previously seen in the small artifacts and revealing more clues to their origins and history. The iconography of both sides of this gold coin is often interpreted as the adoption / acceptance of Christianity (via the cross) by the Anglo-Saxon warrior class. In terms of enhancing the historical knowledge and understanding of the Anglo-Saxon period in the local community and beyond, to the land of the Merovingians, they are priceless. Details of the find made achieved national press coverage for Archi UK and Chris Kutler, the finder of the coin treasures. Many of these articles featured static renders of the 3D coins on Sketchfab. With a diameter of only 10mm across the widest point on the face of the coins, one of the most challenging issues faced by Alex in the photographic stage of the process was, how to support the coins, orient around them and keep them steady, while he photographed them. Having overcome this with an adapted ‘helping-hand’ stand, and creative use of ‘blu-tac’, the next hurdle to pass was to overcome the reflective of the gold surface. The photographs were taken with a Nikon D610 camera, with a 90mm, f2.8 Macro lens and the required spotlights to ensure the images were as detailed as possible. The flash, and all static lights were using polarising filters with a polarisation filter on the lens also in order to try and remove as much surface reflection as possible. Since these models we have perfected this technique and are now testing with diamonds and shiny gold to see where the limits are. Once the photography was completed, the next stage was to build the model in the software process. 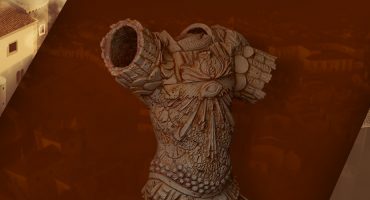 The tools and process used to construct and refine the model started with stitching the images and creating the point cloud and mesh using the RealityCapture software. The next stage was the cleaning process, completed using Zbrush and Autodesk’s Maya. Retopology was performed with Instant Meshes and before building the maps, using the X-Normal application. Finally Allegorithmic’s, Substance Painter, was used to refine the metallic and roughness maps. Due to the object size and material surfaces, the project did have its challenges, however, we learnt a lot during the process, and overall, we feel the final outcome turned out well, given the time restraints we had to deal with. More importantly, the finder of the treasure, Chris at Archi UK, was delighted with the final model and felt it was a large contributing factor to the amount of press coverage he received for the find. Our only glitch and lesson for the future, was the confusion among the mainstream media over the copyright of the images and model, who rather than attribute them to ourselves or the coin owner, mistakenly credited the news agency (SWNS), with the ownership and copyright. However, it was great to see our model covered and shown on The Mail Online, The Sun and The Mirror. Lastly, we would like to thank the team at Sketchfab and all the community, for providing us with an excellent source of information and lots of support on the processes they use. This has not only proved to be both an invaluable wealth of knowledge, but also acted as a great source of inspiration for us, greatly contributing to our workflow and offering great insights into the methods and techniques used by others, allowing us improve our models. We are great advocates of Sketchfab, and feel there is little else that compares to it, for engaging our audience with the 3D modelling and Photogrammetry work involved our cultural heritage projects. Thanks Alex! You can find out more about 3D Pragmatica’s work on their Sketchfab, website and Facebook pages.